notes, review games, and much more. Instant Digital Download. takes me four years to complete with my hardworking students. you a flashdrive (free shipping 4-6 business days) with the entire curriculum. order or other means please contact me and I will gladly send you an invoice. and nonliving parts of an ecosystem). growth, and motion was once energy from the sun). links, images, diagrams, flow charts, and much more. made easy to understand for all. Herbivores, Pyramid of Biomass, Pyramid of Numbers. are interested. This unit does cover many standards that are not addressed below. and reflecting on the observations. animal matter for food, and describe how this process contributes to the system. surface and necessary for life. ●Organize observations and data into tables, charts and graphs. Impacts of Invasive Exotic Species. findings, and reflecting on the observations. describe how their habitat provides these basic needs. organisms and describes the organization of food webs. besides providing food, such as seed dispersal or pollination. ●Describe ways plants and animals depend on each other. extinct, such as dinosaurs, mammoths, giant tree ferns, and horsetail trees. one another in an ecosystem, using food webs. farms, homes, factories, or tourist attractions. • This is covered in plant animal interactions, seed dispersal mechanisms, symbiosis. 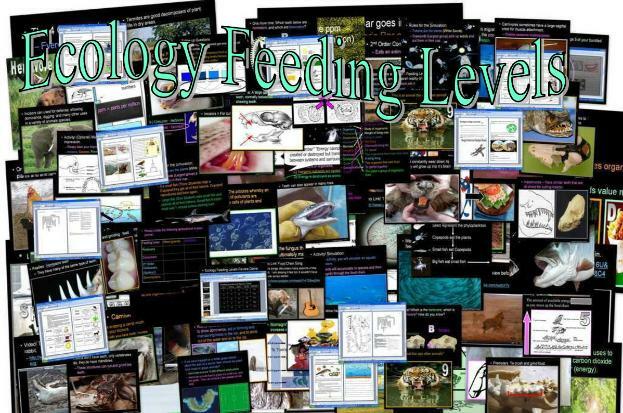 • Student record notes, see video links, and partake in a really neat simulation that has them collect seeds. Several reminder slides reviews with the students that as resources increase populations generally increase. Habitat, predator prey games, and much more cover this standard well. collecting activities associated with populations of organisms are provided. 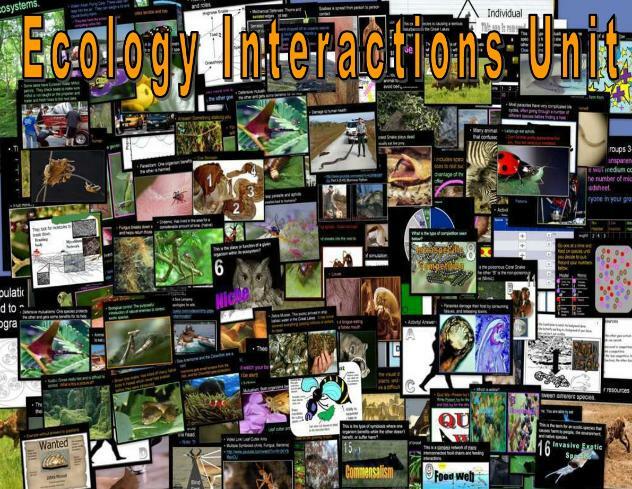 MS.LS2.2 (Explain a pattern of interactions among organisms across multiple ecosystems). MS.LS2.5 (Evaluate competing design solutions for maintaining biodiversity and ecosystem services). species is described. A series of challenge questions are provided. 5.ESS2.1 (Develop an example to describe ways the geosphere, biosphere, hydrosphere, and atmosphere interact). factors unit and weather unit make deeper connections and these spheres are addressed again. 3-5.ETS1.1 (Make observation and measurements to identify materials based on their properties). among the biosphere, atmosphere, hydrosphere, and geosphere). slides made easy for the student to understand. carrying capacity of ecosystems at different scales). • Students learn about animal behaviors such as flocking, school, herding and the advantages that they bring. conditions, but changing conditions may result in a new ecosystem). usually exceed their carrying capacity. evidence about factors that affect biodiversity and populations). activities on the environment and biodiversity). plantation forestry to native regeneration forestry in Tasmania. they make immediately or store it for later use. individual organisms and the entire species. remains the same in either state. and their connections to our planet’s weather patterns. geochemical cycles, such as the water, carbon and nitrogen cycles. ●Describe the interaction of living organisms with nonliving things. cause organisms to respond (e.g., survive there and reproduce, move away, die). survive well, some less well, and some cannot survive at all. range of temperatures in their environment, just as other animals do. environment while living in a constantly changing external environment. interrelated and contribute to biogeochemical cycles. test” of a simple scientific question. presentations) to summarize and communicate the results of observations. water, fire ecology, and also Island Biogeography. factors influence growth of organism). the cycling of matter and flow of energy into and out of organisms). forming new molecules that support growth and / or release energy). standard is covered in the digestive system portion of the human body unit. living and nonliving parts of an ecosystem). addressed heavily in the feeding levels unit. heat. The Isopod lab report also deals with maintaining balance in the environment. except by providing a detailed video link of the biochemical processes. new compounds are formed and result in a transfer of energy). and video / academic links. 5.PS1.1. (Develop a model that matter is made of particles too small be seen). Particles are addressed when biogeochemical cycles are covered. how they interact with the living and nonliving world. Cycles, Parts of a Flower, Matured Ovaries (Fruits), Types of Fruit. and also within seedless vascular plants. changes in environmental factors affect plant growth / fitness. 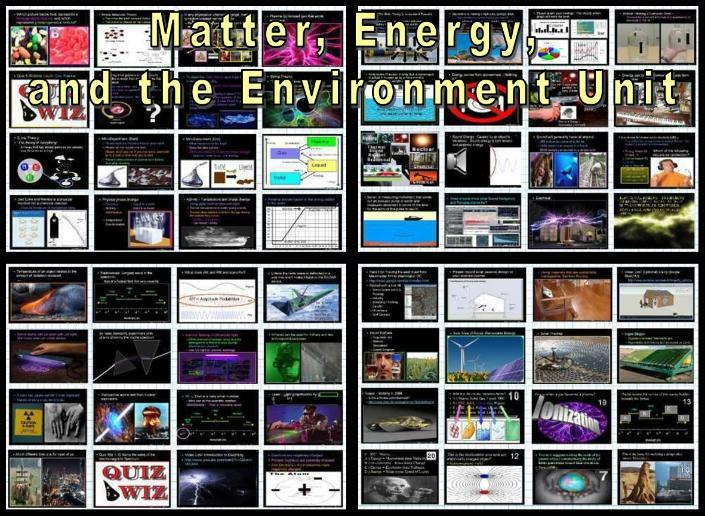 matter and flow of energy into and out of organisms). review opportunities and more are provided. addressed when photosynthesis is covered. detailed video link of the biochemical processes. seed, while others grow from the parts of other plants. food they make immediately or store it for later use. identify factors that affect plants in a particular habitat). asteroid/comet impact; and develop a means of sequencing this evidence. asteroid/comet impact, and develop a means of sequencing this evidence. biological adaptations and the diversity of species. genetic information to the next generation. long periods of time, through constant change processes. nature of environments that existed long ago. change over time in response to changes in the environment. determine any similarities and differences. degree of relatedness among organisms. 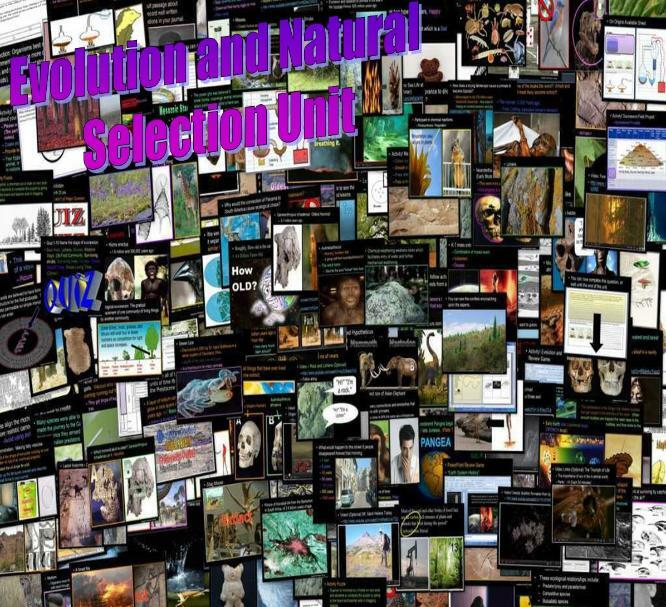 ●Explain the concept of natural selection. including food, space, water, air, and shelter. successive generations so that decedents are very different from their ancestors. increased likelihood to produce offspring. that natural laws operate today as they did in the past). differences among modern organisms and fossils to infer an evolutionary relationship). questions, and more infer the connection. embryological development in a step by step approach. those who have specific advantage (trait / adaptation) collect enough food to reproduce. increases and decreases of specific traits in populations over time). are supported by multiple lines of evidence). able to survive and reproduce in the environment. video links, activities, address this important standard. 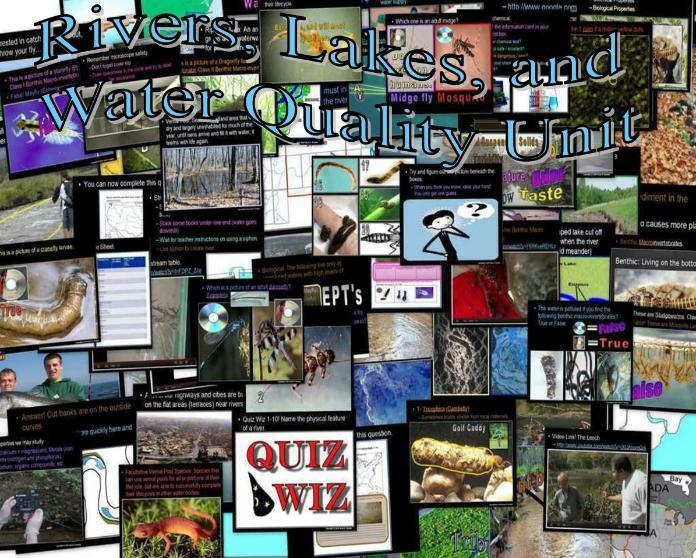 • Covered throughout unit with activities, text, visuals, video links, review, and more. and the extinction of other species). events, many visuals, and constant review are covered throughout. Below are just a few of the typical standards that this unit addresses for those that are interested. This unit does cover many topics / standards that are not addressed below. ●Keep a journal record of observations, recognizing patterns, summarizing findings, and reflecting on the observations. ●Identify ways in which living things can be grouped and organized, such as taxonomic groups of plants, animals and fungi. 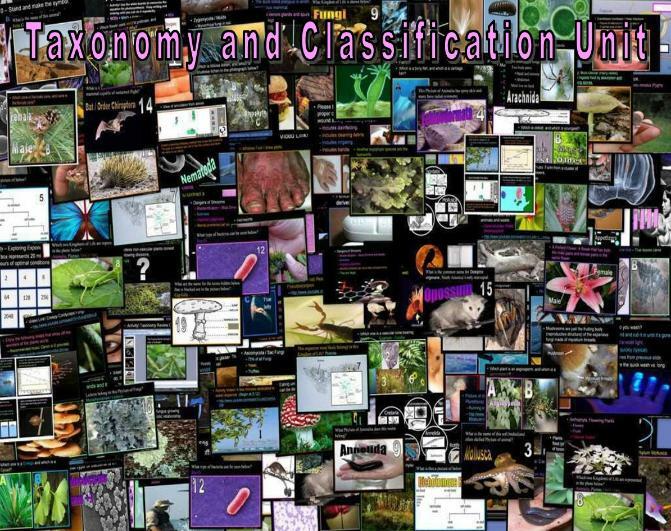 ●Categorize organisms into kingdoms according to their shared characteristics. ●Explain that the way in which cells function is similar in all organisms. ●Recognize that reproduction is a characteristic of all living things and is essential to the continuation of a species. ●Explain that most microorganisms do not cause disease and that many are beneficial to the environment. reproduce, typically half the genes come from each parent. ●Explain that a species of sexually reproducing organisms is comprised of all the organisms that can mate to produce fertile offspring. ●Explain that in sexual reproduction, a single specialized cell from a female merges with a specialized cell from a male in a process called fertilization. ●Differentiate between prokaryotic and eukaryotic cells at the biochemical level, using cell wall composition, DNA structure, and other biochemical pathways. ●Identify plants and animals according to binomial nomenclature. ●Explain that organisms that possess similar DNA code are more closely related than those in which DNA varies greatly. ●Use a variety of tools and formats (oral presentations, journals, and multimedia presentations) to summarize and communicate the results of observations. ●Explain how symmetry (or the lack of it) may determine properties of many objects, from molecules and crystals to organisms and designed structures. secretions support the defense process. how many diseases can be prevented by vaccination. ●Explain how vaccines induce the body to build immunity to a disease without actually causing the disease itself. ●Recognize a healthy body cannot fight all germs that invade it, and explain how some germs interfere with the body’s defenses. ●Provide examples of early health care technology that helped to extend the life expectancy of humans, such as the discovery of penicillin, sterilization of surgical instruments. ●Differentiate between vaccines, which help prevent diseases from developing and spreading, and medicines, which relieve symptoms or cure diseases. ●Recognize that the quality of personal health can be influenced by society and technology. ●Explain how proper food preparation and appropriate food handling practices can maintain the safety and quality of food. ●Recognize that humans can spread germs that cause disease. ●Recognize that there are some diseases that human beings can only get once; and explain how many diseases can be prevented by vaccination. ●Describe the function of white blood cells and explain how they support the body’s defense system. ●Explain how the immune system functions to prevent and fight disease. 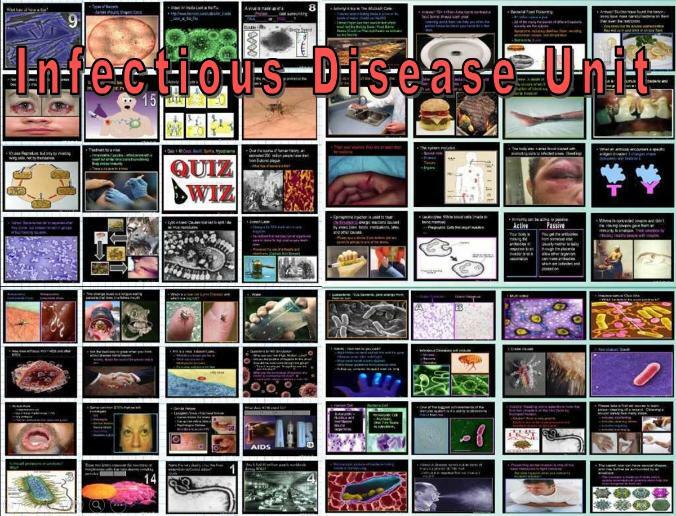 ●Describe how viruses, bacteria, fungi, and parasites may affect the human body and provide examples of how they can interfere with normal body function. functions necessary to sustain life, such as cell growth. other animals, but somewhat different from cells found in plants. necessary to sustain life, such as cell growth. using cell wall composition, DNA structure, and other biochemical pathways. structure and degrees of complexity. unicellular or multicellular and with many types of cells). types of cell are also described with images. of the cell contribute to function). students will learn the biochemical processes of photosynthesis and respiration. composed of groups of cells). each level. Many review slides with visuals help reinforce this standard. sending messages to the brain). systems and health topics unit. boundary). Video and academic links, review opportunities and more are provided. MS.LS1.7 (Create model to describe how food is rearranged through chemical reactions forming new molecules that support growth and / or release energy). important roles of protein in the body. HS.LS1.3 (Use a model to illustrate how photosynthesis transforms light energy into stored chemical energy). review help to reinforce. 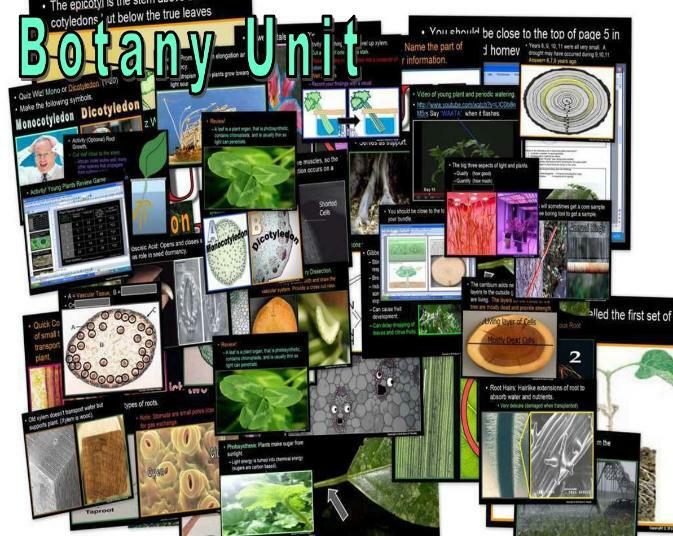 This unit does not address the Calvin Cycle in detail except by providing a detailed video links of the biochemical processes in photosynthesis. compounds are formed and result in a transfer of energy). visuals, and video / academic links. Stem Cell Debate, Cloning Debate. ●Explain that cells repeatedly divide to make more cells for growth and repair. 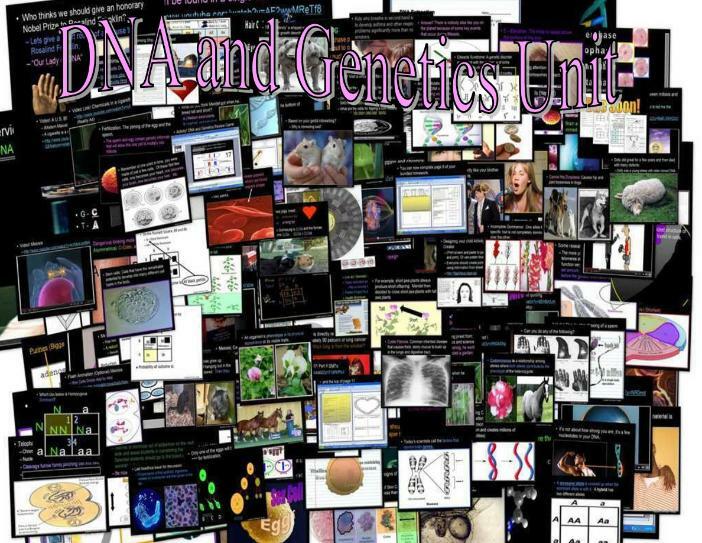 ●Explain that the same genetic information is copied in each cell of a new organism. two sexes to reproduce, typically half the genes come from each parent. with a specialized cell from a male in a process called fertilization. multiplies to form the complete organism. ●Compare and contrast sexual reproduction with asexual reproduction. information is passed on from both parents to offspring. such as eye and hair color. such as disease or cancer. identifying the characteristics of an organism. ●Explain the concepts of Mendelian genetics. ●Use pedigree charts and Punnett Squares to determine patterns of inheritance. selection (e.g., Darwin’s finches, isolation of a species, Tay Sach’s disease). Organize observations and data into tables, charts and graphs. reproduction and how sexual reproduction results in genetic variation). 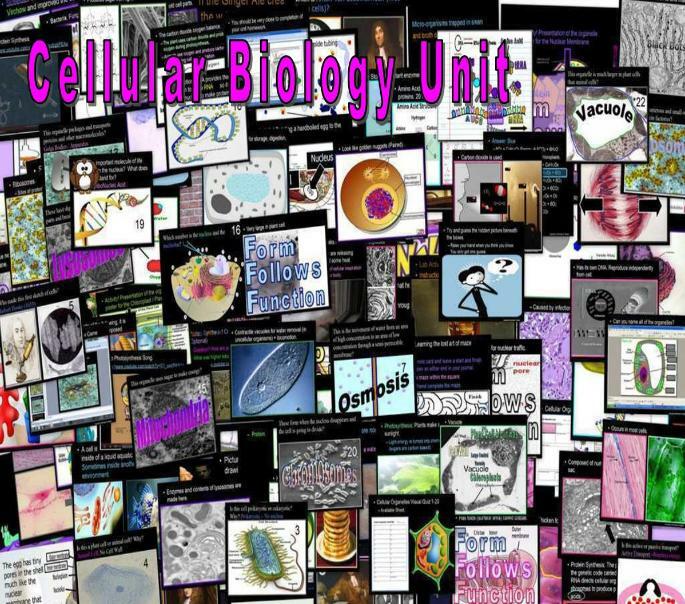 • Students create a step by step diagram of sexual reproduction on the cellular level. the structure of and function of the organisms). to cancers. Students spend considerable time learning about transcription and translation. how changes in genes within a population change the population over time. and students learn the steps in detail without the need for memorization. coding the instructions for characteristic traits passed from parents to offspring). links, activities and more are provided. replication or mutations caused by the environment). cancers. Phases of meiosis are provided in detail. abstinence vs. prevention, AIDS, STD's, and much more. cells, tissues, organs, organ systems, whole organisms, and ecosystems. coordination and protection from disease. of other animals, but somewhat different from cells found in plants. to the continuation of a species. specific functions, facilitating survival, growth and reproduction. ●Recognize behaviors that may be unsafe or unhealthy for themselves and others. essential to maintain proper health. humans choose can influence and affect their well-being. guidelines, such as the food pyramid. ●Explain how the basic tissues of an embryo form. and provide examples of how they can interfere with normal body function. 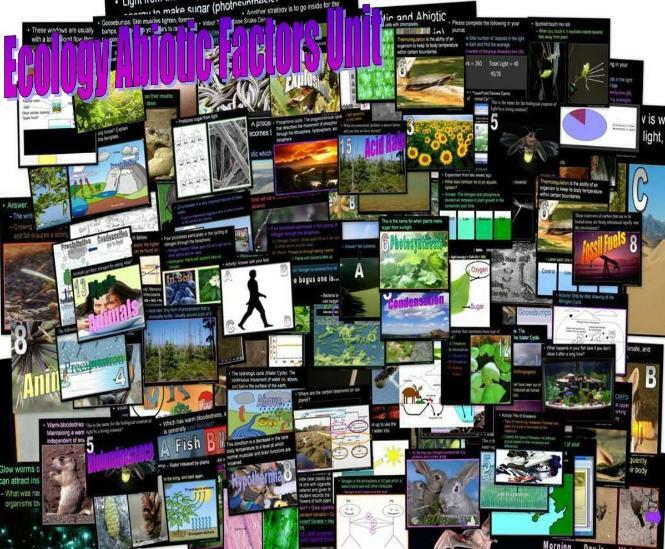 biological factors affect human body systems (biotic and abiotic). the first trimester, organs form during the second, organs mature during the third). affect the homeostasis of an organism. chemical level and how they maintain homeostasis. contribute to homeostasis of the organism. 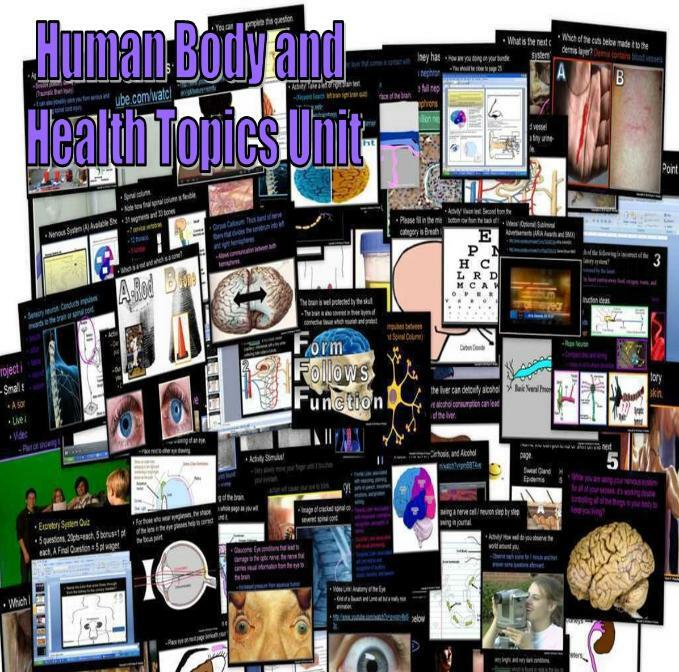 exceeded in the human body systems unit as each human body system is addressed. system. Activities, simulations, videos, and much more address each. vs. insect pollination is addressed as are the role of fruits and flowers in the animal world. other reproductive strategies in the Taxonomy and Classification Unit. new molecules that support growth and / or release energy). 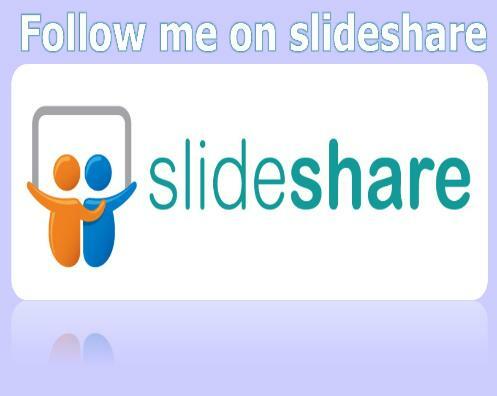 the slideshow that requires the students and teacher to read each part one step at a time. systems that provide functions within organisms). organization and specific function are addressed with visuals, text, video links, review, and more. be absorbed. Slides, visuals, games, and more review throughout. Bonds, Covalent Bonds, Metallic Bonds, Ionization. video links, slides, and more are provided. • This unit goes over the boundary (Oh No!) and includes balancing chemical equations. thermal energy by chemical processes). is collected in the form of temperature. concepts that are not described below. such as heating, exposure to electric current, and reaction to acid. table as a tool for organizing the information about them. magnetism, conductivity, density, solubility, boiling and melting points. knowledge of the patterns of chemical properties). equations, and more. 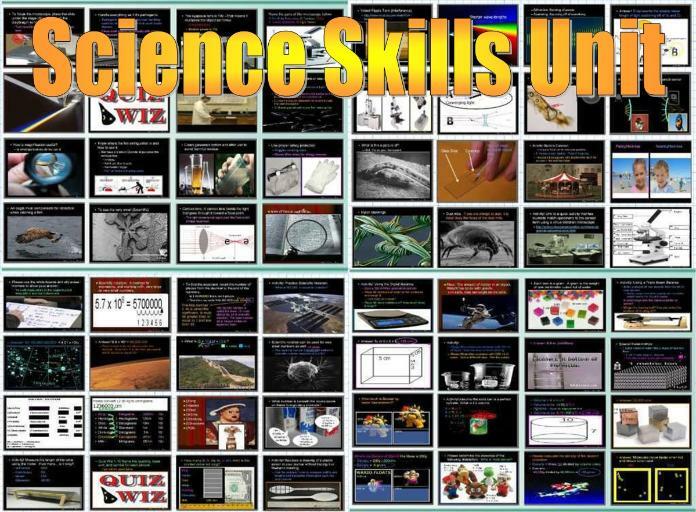 Notes, slides, video links, academic links, animations and more are included. HS.PS1.4 (Develop a model to illustrate that the release or absorption of energy from a chemical reaction system depends upon the changes in total bond energy). HS.PS1.1 (Use the periodic table as a model to predict the relative properties of elements based on the patterns of electron in the outermost energy level of atoms). and similar properties. Ionization energies are briefly discussed. Reactivity of metals is addressed, and reactions with oxygen in part IV. HS.PS2.6 (Communicate scientific information about why the molecular-level structure is important in the functioning of the designed materials). • Properties of metals, nonmetals, and semimetals are addressed. 5.PS1.2. (Measure and graph quantities to provide evidence that when a change in a substance occurs, heating, cooling, mixing, the total weight of matter is conserved). • This standard is addressed as a review when students balance chemical equations. 5.PS1.3. (Make observation and measurements to identify materials based on their properties). • This standard is addressed when students investigate densities of metals. 5.PS1.4. (Conduct an investigation to determine whether the mixing of two or more substances results in new substances). • This standard is addressed throughout in a number of activities. 3-5.ETS1.1. (Make observation and measurements to identify materials based on their properties). Wheel and Axle (MA), Inclined Plane / (MA), Screw / (MA). for specific properties, such as weight, strength, hardness, and flexibility. object either speeds up, slows down, or goes in a different direction. resulting effect, such as the greater the force, the greater the change in motion. 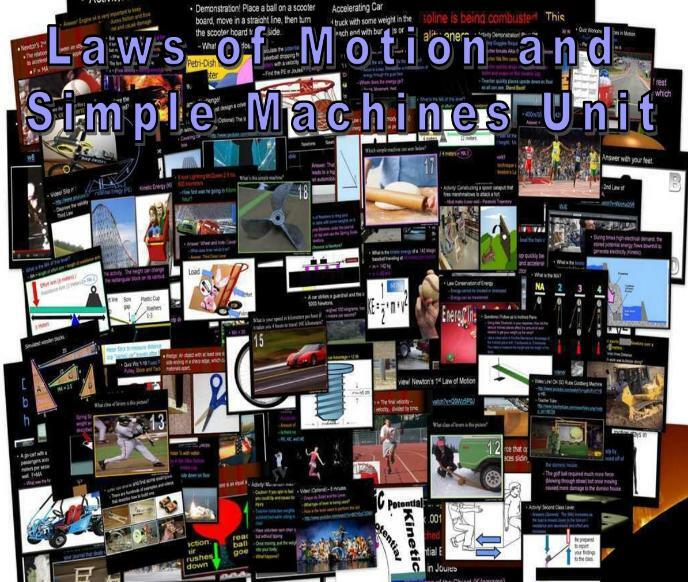 ●Explain the how balanced and unbalanced forces are related to an object’s motion. the data can be used to describe its position. the ramp, add washers to the car, and swap AA for D batteries. Data is collected throughout. objects motion may depend on the sum of the forces and mass of the object). questions at the end require the use of data to explain changes in the parked cars motion. addressed in this unit and the matter, energy, and the environment unit. transferred to or from the object). provided and again the boundary is passes as students learn to calculate kinetic energy. mathematical calculations and conduct the parked car activity described above. • Slides, links, and video provided about momentum conservation. minimizes the force on an object during collision). when the change in energy of the other component flows in and out of the system and is known). links and visuals are provided. energy associated position of particles (objects). destroyed, but transferred as it changes form, and calculate PE and KE. convert one form of energy into another form of energy). points are considered to identify aspects a prototype that can be improved). • Students design and build mousetrap cars. ●Recognize that the light and heat the Sun provides to the Earth is necessary for life. away from the source, as with earthquakes. the same in either state. and explain how some changes can be detrimental to other organisms. ●Differentiate between weight and mass. ●Identify energy as a property of many substances. relating to both physical and chemical change. and establish wave-like disturbances that emanate from the source. through conduction, convection, and radiation. ●Explain how electrical circuits can be used. separate, form, combine and condition natural and synthetic materials. ●Explain how a battery changes chemical energy into electrical energy. ●Explain how to dispose of waste so that it does not harm the environment. energy and fossil fuels, and compare the differences. ●Differentiate between renewable and non-renewable resources. homes, factories, or tourist attractions. and objects, and energy associated position of particles (objects). system to another as it changes form. objects due to the interaction). and iron filings, visit simulators, and learn about a Van de Graaff generator. explanation of factors that affect carrying capacity of ecosystems). selected species are addressed in a series of slides with visuals. home that utilizes renewable energy and other sustainable features. utilizing energy and mineral resources based on cost benefit ratios). • Many local efforts such as reducing, reusing, and recycling are addressed. impacts of life systems are addressed throughout. systems and how those relationships are being modified due to human activity). biodiversity and much more are spread throughout. 5.PS1.1 (Develop a model that matter is made of particles too small be seen). • Molecules are covered heavily in Part I: Matter. substance occurs, heating, cooling, mixing, the total weight of matter is conserved). • A neat activity with Alka-Seltzer and plastic bags addresses this standard. Notes, examples with visuals, video links and more are provided. thermal energy is added or removed). • Students conduct several activities that add and remove energy and graph the results. Many slides, several animations, are included that address temperature and molecular motion. Students also move around pretending to be molecules at different states of matter. experiment measures the weight of Alka-Seltzer before and after a chemical reaction. experiment uses plastic bags to see that the weight of the two after the reaction is the same. add salt, and shake. Temperatures are recorded before and after. Phase change occurs. water which relates to this standard. absorbs thermal energy by chemical processes). • Students make electromagnets and answer questions about using a AA vs. D battery. Students also make a simple electric motor, EM field with paper plate, magnet, and iron filings. Students also make circuits and visit circuit simulators. exerting forces even when objects are not in contact). • Students conduct many activities with magnets, visit simulators, video links, and more. standard is also addressed with many Van de Graaf demos and videos. • Students conduct a number of heat transfer hands-on and data collecting activities. the gravel activity and throughout. A built-in quiz is also provided. transfer, temperature, and phase change. how amplitude a wave is related to its energy). and questions / review opportunities provided. how light is reflected. General notes, visuals, and general information about waves provided. difference between analog and digital signals. Students race the teachers to send a message. Students send analog “telephone game” and teachers uses digital (email). environment and utilizes renewable local resources. capital consumption of resources impact Earth’s systems). • This standard is addressed throughout Part V the environment. and the energy releases during the processes of fission, fusion, and radioactive decay). 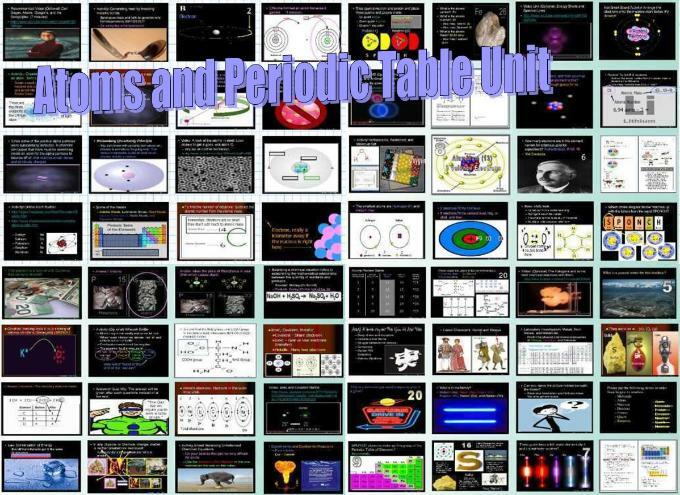 • Fission and fusion are addressed with animations, visuals, text, and review slides. frequency, wavelength, and speed of waves traveling in various media). diffraction of light are addressed in the videos. radiation have when absorbed by matter). • This standard covered in each of the waves that students learn in the EM spectrum. rays, x-rays, and ultraviolet waves are dangerous when absorbed by cells. Law to describe and predict the gravitational and electrostatic forces between objects). produce a magnetic field and that changing a magnetic fields can produce electric current). wire and batteries. Faraday’s Law of Induction is described with text and visuals. more uniform energy distribution among the components in the system). data gathering heat transfer activities and answer questions. Scientific Method, What is Science? What makes a good scientist? ●Perform calculations using metric measurements. measure and observe the world. and from listening to others talk about their life and work. and extend the senses, such as thermometers, hand lenses and balances. ●Extend the senses using simple tools. ●Make and record observations for a given purpose. ●Differentiate between observations and inferences. ●Record observations using standard units of measurement. of a simple scientific question. ●Select an activity and justify it as an effective means of collecting appropriate data. ●Follow a set of procedures. ●Plan and test ideas through guided experiments. ●Identify and use appropriate tools. tally, pictographs, bar graphs, tables). ●Compile and display data in a variety of formats. ●Cite evidence or data to support conclusions. ●Determine if an observation or measurement supports a given scientific explanation. ●Draw a conclusion to answer an initial question, based on the evidence collected. sometimes even more data can be collected by conducting scientific investigations. a more uniform energy distribution among the components in the system). ●Know when comparisons might not be fair because some conditions are not kept the same. experiments; and that investigations can focus on physical, biological, and social questions. ●Observe that some small changes can be detected by taking measurements. ●Be able to complete an assigned task when given a specific role in a group. to summarize and communicate the results of observations. ●Determine the degree of accuracy that can be obtained using a given instrument. Investigate similarities and differences noted when making observations. ●Ask questions about relationships between and among observable variables. Identify the manipulated, responding and controlled variables in an experiment. ●Design a controlled experiment, identifying and controlling the major variables. thermometer, spring scale, graduated cylinder, calipers, balance, probes, microscopes). ●Determine if the results of an experiment support or refute the scientific idea tested. explanations to make sense of the collected evidence. 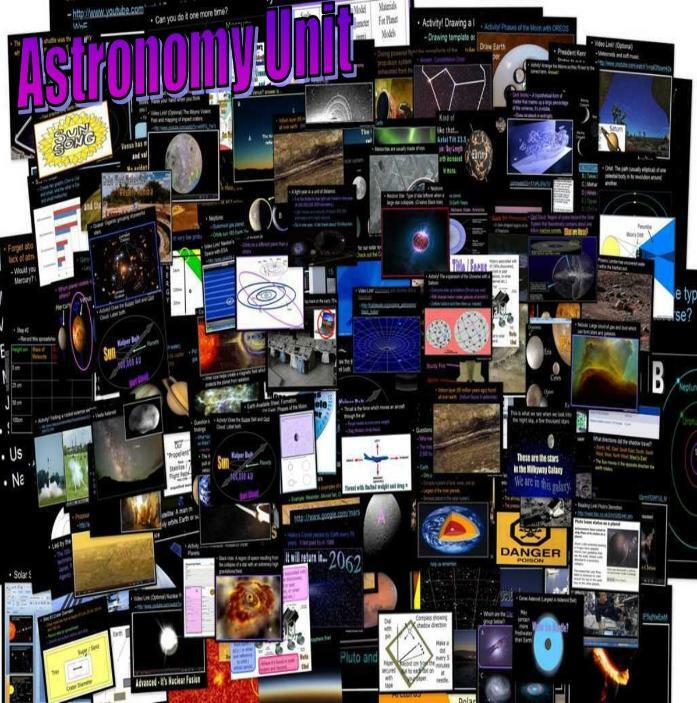 Space Telescope, Constellations and much more. patterns of lunar phases, eclipses of the sun, moon, and seasons). the lunar phases. Seasons and axial tilt are also heavily addressed. the sun is addressed. This concept is addressed throughout the unit. relative sizes of suns, light years, distances to stars, planetary information and much more. • This standard is addressed throughout unit and goes into detail in Part III about rocketry. of nuclear fusion in the sun’s core to release energy in the form of radiation). slides are also provided. Life cycles of stars is also addressed as are solar flares. light spectra, motion of galaxies, and the composition of matter in the universe). fusion. Life cycles of stars and the stages that occur is covered with step by step visuals. animations, and links are provided. • The rocketry unit has students build rockets from soda bottles. year, shadows and the tides. and describe the conditions that exist on Earth that allow it to support life. and Moon (e.g., night/day, seasons, year, tide). use tide charts and NOAA information to describe them. Moon account for phenomena, such as the phases of the Moon and eclipses. ●Identify the characteristics of the Sun and its position in the universe. affect seasons and weather patterns. probable explanation of the origin of the universe, and describes the theory. principles of physical science across vast distances and time. daytime, and how its position in the sky changes through the seasons. ●Recognize that the Sun, Moon and stars all appear to move slowly across the sky. shadows of varying length and direction. the Earth rotates approximately once, every 24 hours. separated from one another by vast distances. ●Recognize and describe the stars, like the Sun, as spherical in nature. System and differentiate between them. ●Explain the effects of gravitational force on the planets and their moons. acknowledging recent evidence that suggests similar systems exist in the universe. location, orbital movement, atmosphere, or surface features (includes moons). extend existing ideas about the Solar System. ●Define an astronomical unit as the distance from the Earth to the Sun. another and from the Earth. summarize and communicate the results of observations. Common Sedimentary Rocks, Common Metamorphic Rocks. radioactive decay, rock sequences, fossil records). ●Explain the theory of plate tectonics. sedimentary) and describe the processes that create them. ●Describe rock as being composed of different combinations of minerals. sort, classify, and/or describe them. and describe simple tests used in the identification process. is composed of plates that move. uplifting of the layers affects the evidence. from molecules and crystals to organisms and designed structures. jobs/careers specifically require knowledge of Earth science. ●Explain that large rocks can be broken down into smaller rocks. periods of time, through constant change processes. found on the Earth’s surface. 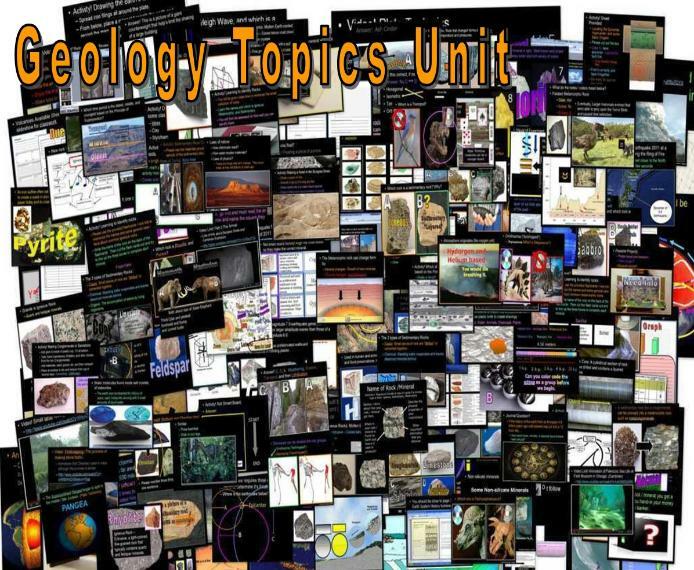 ●Describe rocks and soils in terms of their physical properties. plant and animal remains, and that it contains living organisms. minerals to form solid rock. about the rock’s history and connection to the rock cycle. natural laws operate today as they did in the past). scale is used to organize Earth’s 4.6 billion year old history). ages are covered in the soil science unit. Impact events are covered in the Astronomy Unit. notes, visuals, video links, and review opportunities. built-in review. Weathering / soil formation is covered in the soil science unit. energy, and groundwater resources are the result of past and current geoscience processes). • Slides throughout describe parts of this standard. and inform the development of technologies to mitigate their effects). storms, microbursts and more are addressed in the weather unit. • The speed of primary and secondary waves is addressed. crust and the theory of plate tectonics to explain the ages of crustal rocks). visuals and explanations are included. and other planetary surfaces to construct an account of Earth’s formation and early history). Eon and included. Video links, visuals, textual slides, and much more are provided. different spatial and temporal scales to form continental and ocean floor features). addressed in the mineral portion of this unit. and utilizing energy and mineral resources based on cost benefit ratios). climate have influenced human activity). erosion, the Dust Bowl and soil conservation. ●Explain that smaller rocks come from the breaking and weathering of larger rocks and bedrock. ●Explain how soil is formed from combinations of weathered rock and decomposed plant and animal remains, and that it contains living organisms. ●Use results from an experiment to draw conclusions about how water interacts with earth materials (e.g., percolation, erosion, frost heaves). ●The Earth and Earth materials, as we know them today, have developed over long periods of time, through constant change processes. ●Describe soils in terms of their physical properties. ●Describe the properties of soil, such as color, texture, capacity to retain water, and its ability to support plant life. Warming, Biomes, Types of Biomes. observation and data collection methods. ●Identify weather patterns by tracking weather related events, such as hurricanes. light from the sun, and retaining heat energy emitted from the Earth’s surface. as hurricanes and wild fires. ●Read and interpret data from barometers, sling psychrometers and anemometers. ●Explain that air surrounds the Earth, it takes up space, and it moves around as wind. can be revealed by satellite images. 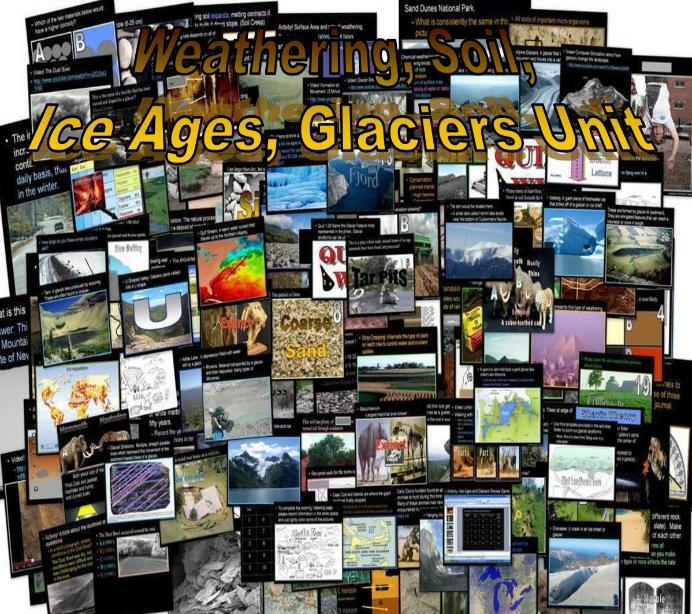 weather and weather patterns, atmosphere, or climate. manned exploration, probes and robots to collect data. the Earth through current time. ●Explain the composition and structure of the Earth’s atmosphere. energy from the sun and the force of gravity). throughout. Changes in the states of matter and throughout the water cycle are described. in change in weather conditions). weather changes over time and sudden changes in weather result when air masses collide. patterns of atmospheric and oceanic circulation that determine regional climates). conveyor is also provided in Part III, Earth the water planet. in global temperatures over the past century). graphs, activities, video links, and more are provided. 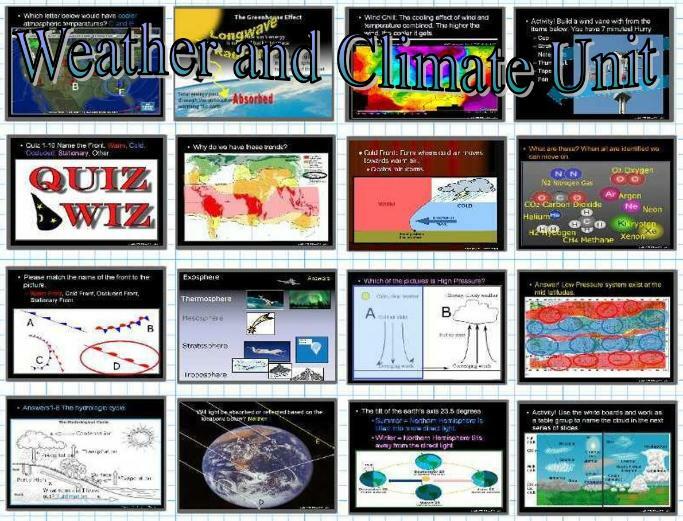 presentations for the class that also address the above server weather systems. s systems result in changes in climate). changes, however, cannot be explained by natural causes alone. future impacts to Earth systems. possible changes in thermohaline circulation and much more. text, video links, and academic links are provided. 5-PS1-1. (Develop a model that matter is made of particles too small be seen). unit. Carbon dioxide and other greenhouse gas are addressed in the climate change portion. water pollution. The positives and negatives are addressed surrounding hydraulic fracturing. 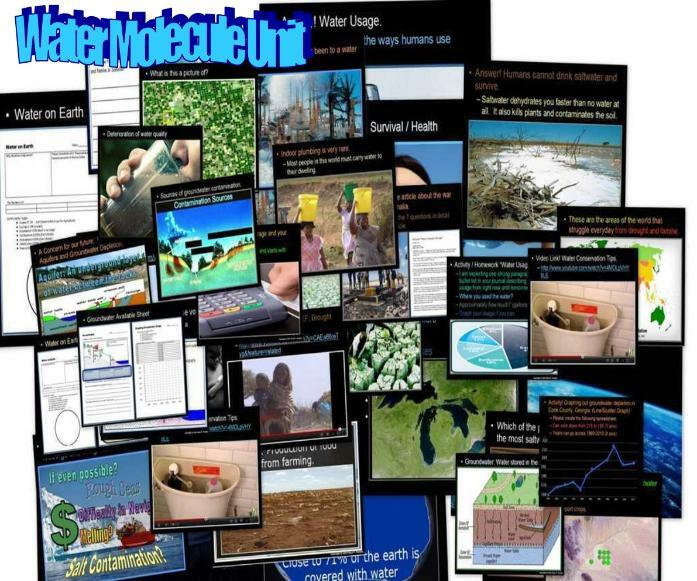 ●Explain that water quality has a direct effect on Earth’s life forms. component of the Earth’s system. ●Recognize and describe the Earth’s surface as mostly covered by water. that fresh water is found in rivers, lakes, underground sources, and glaciers. • Student design a levee system to mitigate the effects of flooding on a community. important player in the town discussion. • This unit addresses flooding, tsunami’s, hydroelectric dams, and levee systems. meeting format. Evidence is shared and final vote occurs. earth materials (e.g., percolation, erosion, and frost heaves). microscopes and computers to gather, analyze and interpret data in the life sciences. whether the effect had a positive or negative impact. environment; and explain how some changes can be detrimental to other organisms. have. Thank you for visiting this website. 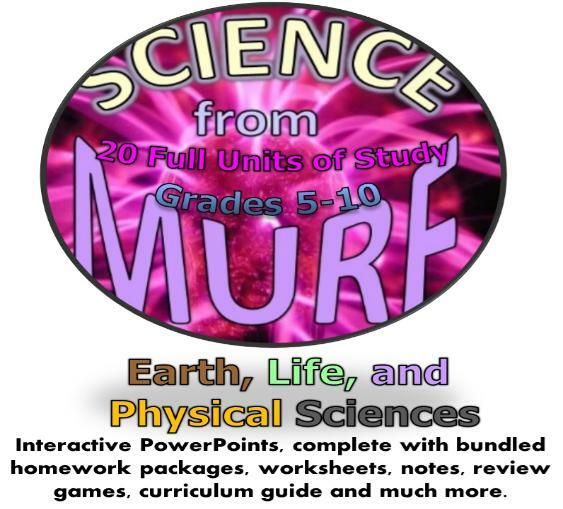 Copyright © 2011 Science from Murf LLC. All rights reserved.